Filigree, as light as a feather, yet incredibly durable. Designed by nature: The leaf of the bodhi tree. Gold- or silver-plated. 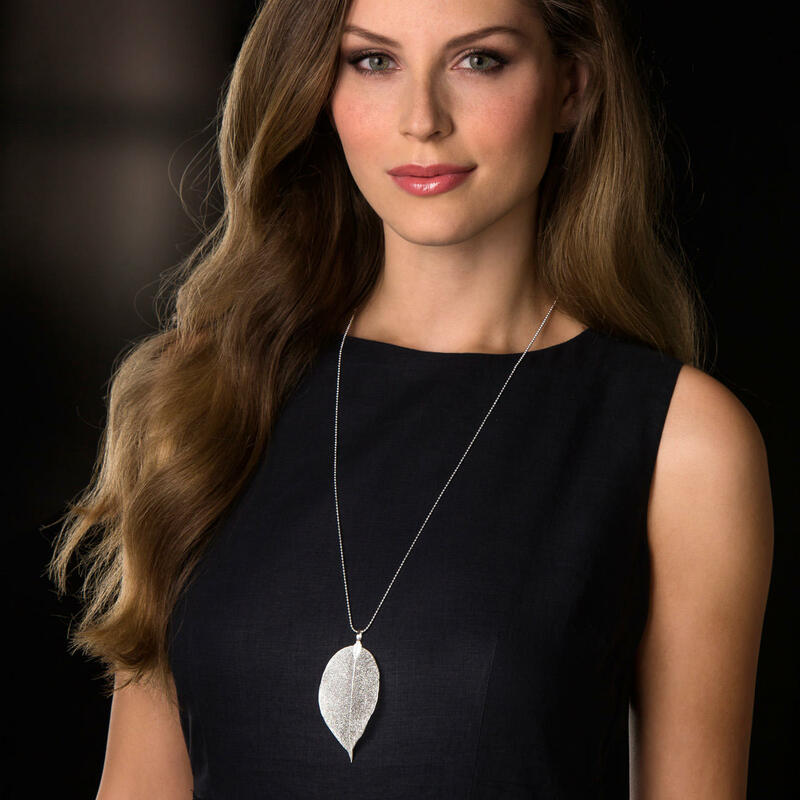 Each necklace is unique. Using a complex, special procedure, the leaves with the characteristic drip tip are freed from the green leaf tissue, and only the delicate branches of the leaf veins remain. 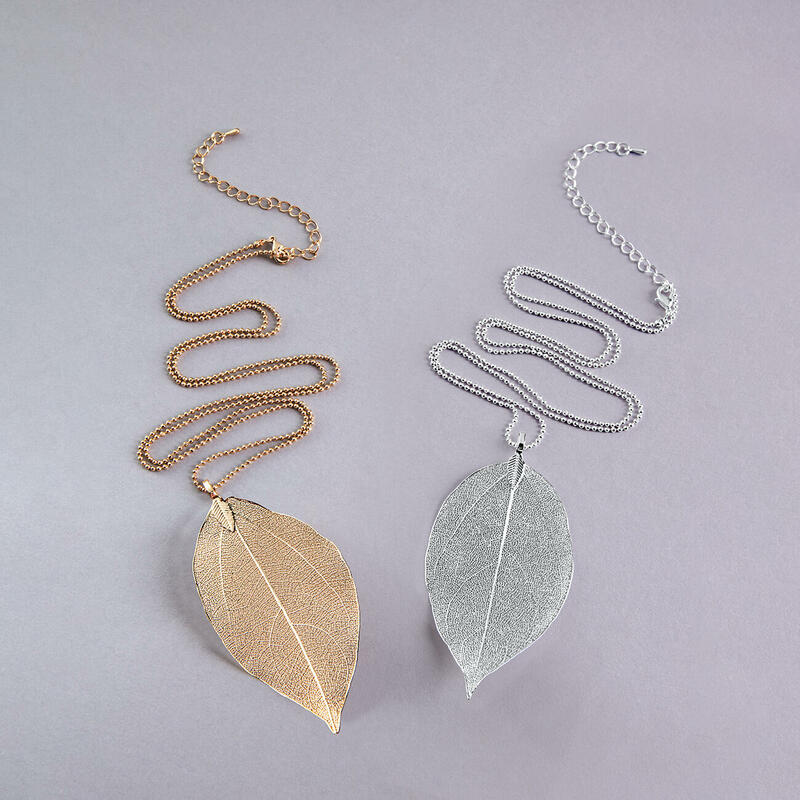 Sprayed with brass and then gold-plated or silver-plated, the finely structured vein network, plus the unique shape and curvature of the leaf, are seen to great effect. A piece of jewellery for everyday wear and all occasions. Also, a unique item with a history. In India and Sri Lanka the bodhi tree (Ficus religiosa) is also called the “tree of awakening”. Siddharta Gautama is said to have achieved spiritual enlightenment while sitting under this tree, which lead him to founding Buddhism. Every leaf is approx. 40mm (1.6") wide, approx. 70mm (2.8") high and weighs approx. 2.5g (0.1 oz). 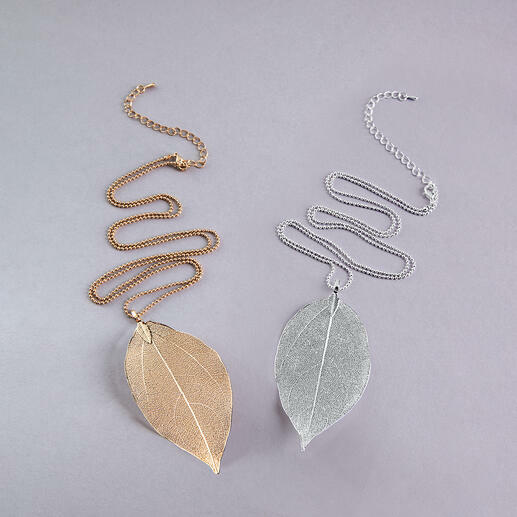 Since the leaves are natural items, each pendant is unique and varies in size. Delivery includes a matching, 70cm (27.6") long necklace. Exclusive to ­Fashion ­Classics.